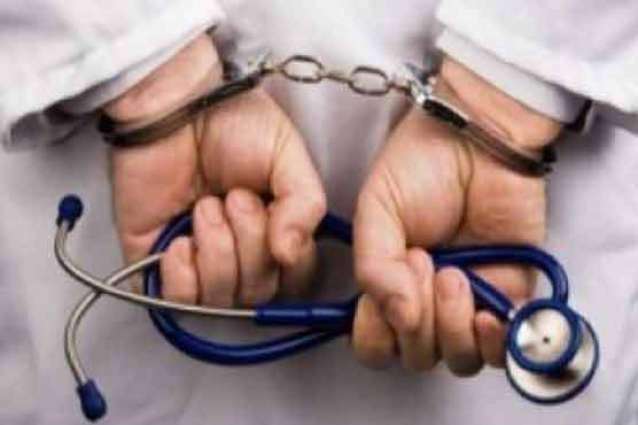 LAHORE: Punjab Healthcare Commission (PHC) sealed 7,700 clinics and shops of quacks in the province and imposed Rs 58 million fine on them so far, sources said here Sunday. According to the sources, during the last week, the PHC teams conducted raids on various clinics and inspected private hospital. The teams sealed 24 clinics, 19 of general practitioners, who had no degree, two homoeopaths and one each fake dentist, maternity and joint displacement expert. In 19 centres, quacks were working as general physicians, which included Tauheed Clinic and Medical Store, Khawaja Clinic, Abdul Rasheed dispensary, Shafiq Clinic, Abbas Clinic and Hafiz Pharmacy, Zahid Clinic, Bhatti Clinic, Rizwan Clinic and Allah Nawaz Clinic, Javaid Medical Centre, Wajid Clinic, Saif Clinic, Zahra Medical Centre, Eman Clinic, Al-Shafi Dawakhana, Sajjad Clinic, Qamar Clinic, Naveed Clinic, Barkat Clinic and Abdur Razzaq Clinic.Moreover, besides sealing Qadri Homoeopathic Clinic and Haider Homoeo Clinic, Hafiz Dental Clinic, Manzoor Ahmed Jarrah and Naseem Maternity Home were also closed down.